Form-based codes are a relatively new method to regulate the development of buildings and streets to be more consistent with what the community desires. Conventional zoning codes are subject to interpretation and have resulted in differences between community vision and physical development. Conventional codes often are more text intensive. Form-based codes as an alternative use visual illustrations and extensive public involvement. While form-based codes have been around for a while, only in the past few years have local governments across the United States increasingly moved toward using them. 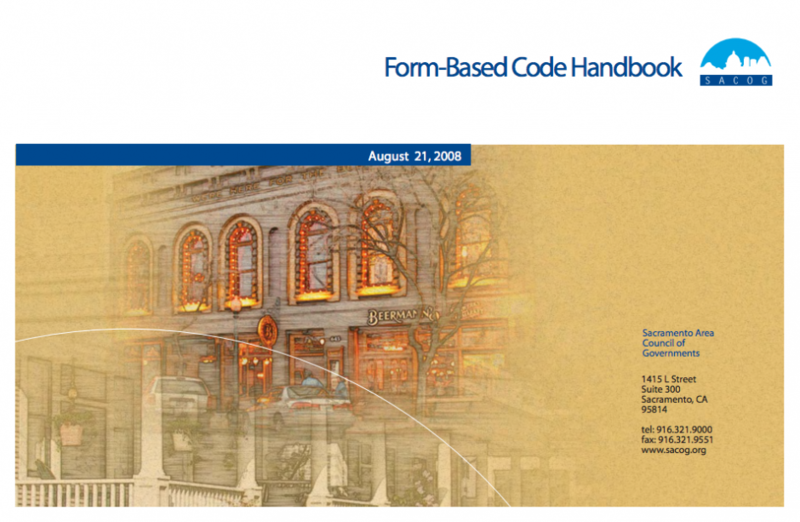 To assist cities and counties in the Sacramento region that may want to develop form based codes, SACOG produced a SACOG Form-Based Codes Handbook that is publicly available for download (see below). The Handbook provides background information on what a form-based code is, when to use it, and, most importantly, a practical guide on how to create one. Four case studies from around the region are illustrated to give the reader some guidance on the steps and considerations that need to be made when creating a form based codes. The case studies are not form-based codes, but serve as different community prototypes with alternative approaches to developing a form-based code. 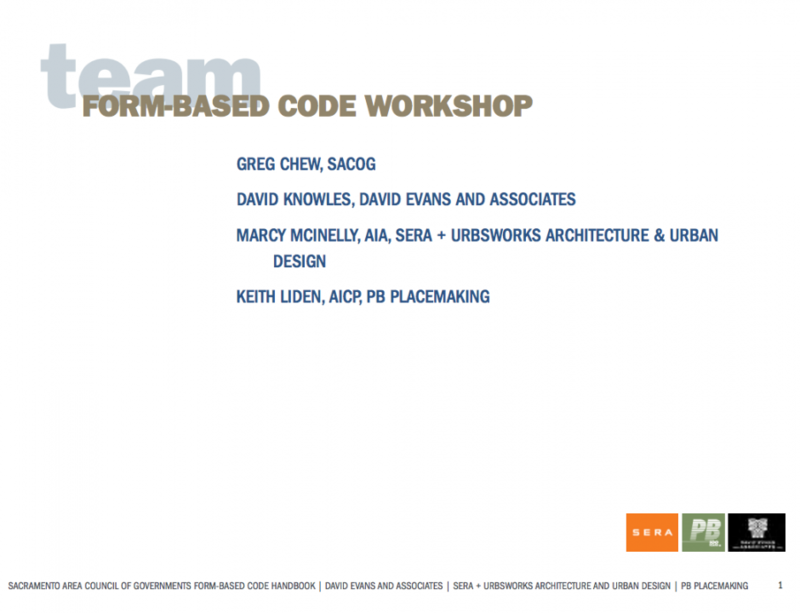 SACOG’s consultant team (David Evans Associates, SERA Architects, and Parsons Brinckerhoff) gave a background about form based codes to the SACOG Planners Committee on June 25, 2008. The handbook was created to provide background information about the form-based code approach and provide instructions on how communities can create and develop a form-based code to better address specific community planning issues. Because the successful implementation of the SACOG Blueprint Growth Principles will rely in part on land development regulations, especially related to design, a form-based code is a potentially valuable tool for shaping community character consistent with these principles.